Shahi TukdaHi friends! Make this mouth watering , easy to make shahi tukda with topping for your dessert menu today!What is Shahi TUKDA? 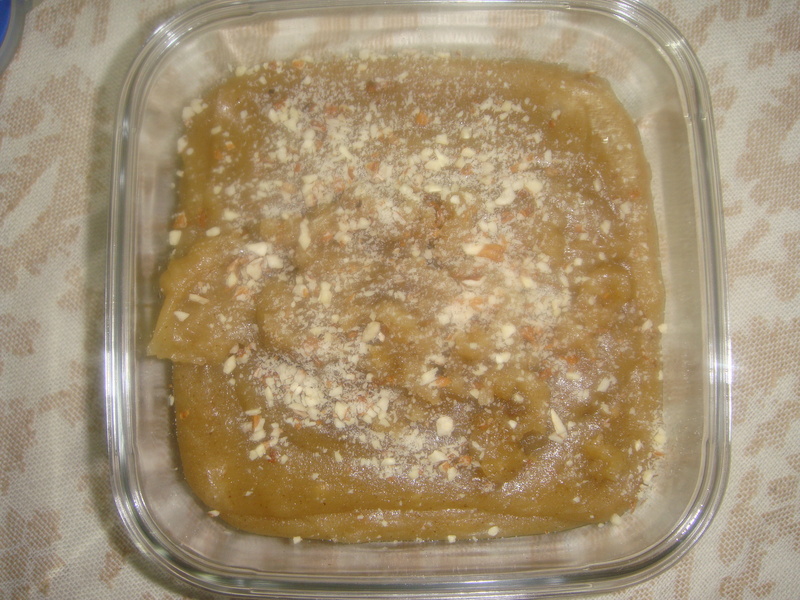 Shahi tukda is a simple and delicious recipe made from milk and bread. This is a delicious dessert that can be easily made at home. Heat milk in a pan and bring to a boil. Lower the heat and cook, stirring continuously, till it reduces to 1 cup. Add grated khoya, sugar and cardamom powder and stir till sugar dissolves. The mixture will thicken on cooling. Take the sugar with 2 cups water in a pan and cook over medium heat, stirring till sugar dissolves and cook till the syrup thickens. Switch off the stove and keep the syrup aside. Trim the crust and cut each bread slice into four square shape with a knife. Heat clarified butter/ ghee in a pan and shallow-fry the bread pieces for about a minute, turn over and fry about a minute more or until golden brown and crisp. Drain on absorbent paper. Dip in the sugar syrup and remove on a plate. To serve, arrange the fried bread slices on a serving dish and spoon topping over each piece. Sprinkle over with slivered almonds and serve. 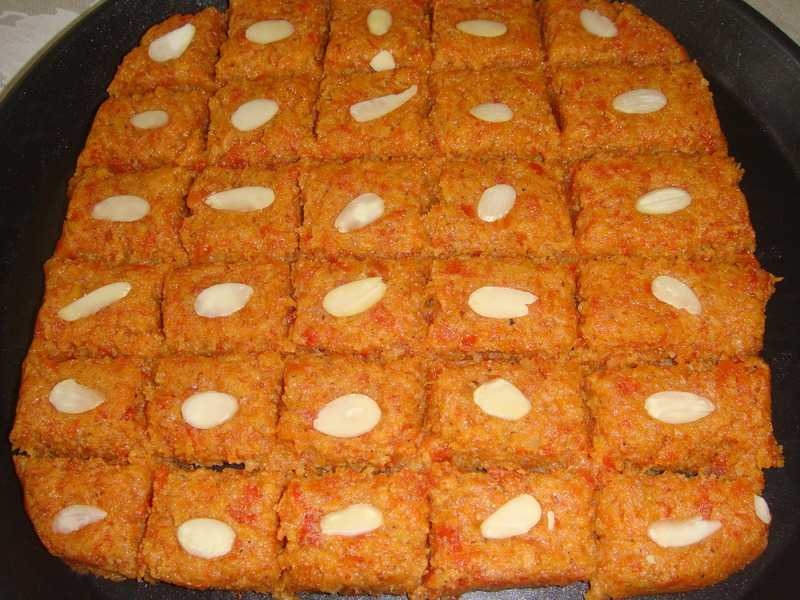 Barfi or burfi is a sweet confectionery from the Indian Subcontinent. The name originates from the Persian word Barf which means snow. The confection is served in India, all year round, it has many varieties. Main ingredients of plain barfis include condensed milk and sugar. The ingredients are cooked in a vessel until the mixture solidifies. Hi friends!Make this yummy barfi very easy to make and very delicious. In a wok / kadahi/ heavy bottom pan take milk and add grated carrots, and bring it to a boil. Reduce the heat and let the carrots cook on low flame till 90 % milk is absorbed. Add grated khoya, cardamom powder and sugar. Mix well and cook for five to ten minutes or till mixture thickens. Add powdered almonds to the mix. Grease an aluminum tray with ghee or take a non stick tray. Switch off the stove, pour the carrot mix into the tray and spread evenly. You can even keep it in the refrigerator to set. Decorate chopped nuts and set aside for cooling. Cut into squares and decorate each square with a slivered almond and serve. Hi friends! An all time favorite and delicious snack you can have round the year and not only for Holi! Sift the flour into a big mixing bowl, rub 1/4 cup ghee / olive oil into the flour with your finger tips till the mixture resembles breadcrumbs and knead into a firm dough with milk. Cover with a damp kitchen napkin and leave to rest for at least half an hour. Heat a non-stick pan add the grated khoya/ mawa and Sauté the khoya/ mawa over medium heat till it looks slightly fried. Mix in the sugar, cardamom powder, almonds, cashew and pistachios. Take off the heat and when it cools, and divide into eighteen equal portions. Divide the dough into eighteen equal portions and shape into balls. Roll out into thin rounds, like a puri. Place one portion of the stuffing on one half of the rolled round /puri, lightly moisten the edges, fold the other half over the stuffing and press the edges to seal. Either cut off the edge with a fancy cutter or pinch the edges with the tip of a fork to make a design. Heat sufficient oil in a wok /kadahi. To check if the oil is ready for frying, put a tiny piece of dough in it. If it comes up at once, add gently slide in a few gujiya at a time. 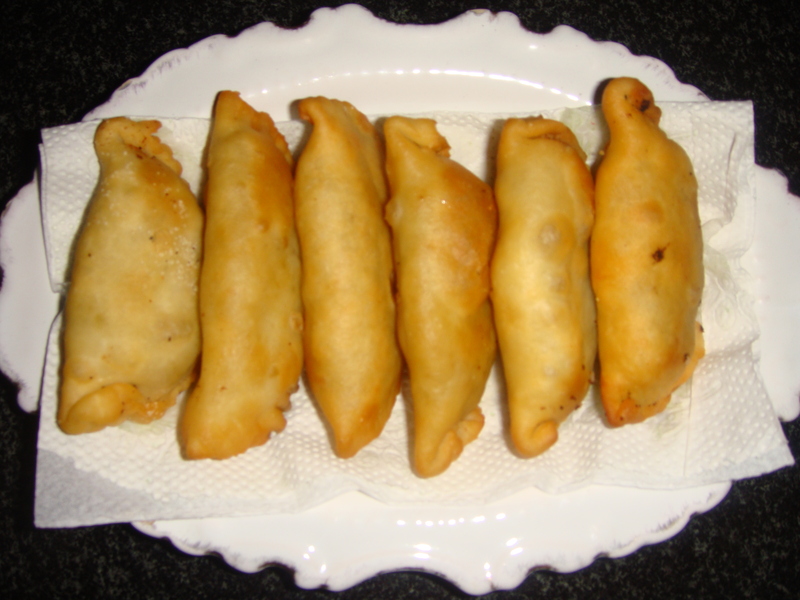 Add as many gujiyas as fit in comfortably and deep-fry for five to six minutes. Turn them over and lower the heat to medium. Fry till golden brown on all sides. Lift out and leave to drain on absorbent kitchen paper towel , cool and store in an airtight container when completely cold.